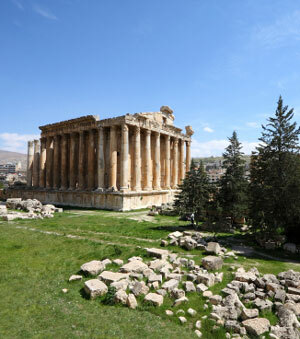 Lebanon received just over 1.8million tourists in 2009, an increase of 39% on the previous year. Lebanon is some 225km long and 46km wide . There are four main geographic regions in Lebanon, each with its own topography and climate. From west to east they include: the coastal plain, the Mount Lebanon range, the Bekaa Valley and the Anti-Lebanon Range. The country’s diverse landscape and climatic variations means that it is possible to ski in the mountains in one of the country’s six resorts, then swim in the Mediterranean in the afternoon towards the end of the ski season. Beirut is re-establishing itself as a vibrant, cosmopolitan city with an ever-expanding list of top quality hotels and restaurants.